HERB: Mastering the Art of Cooking with Cannabis is the world’s first gourmet cannabis cookbook. This full-color, 200+ glossy page hardback contains recipes for serious food-lovers, reinventing the art of intoxication through high-end cuisine. Get your copy today! Congratulations! If you’ve discovered this page, you are part of a burgeoning minority that realize the future of cannabis as a phenomenal herb deserving recognition within the culinary arts. 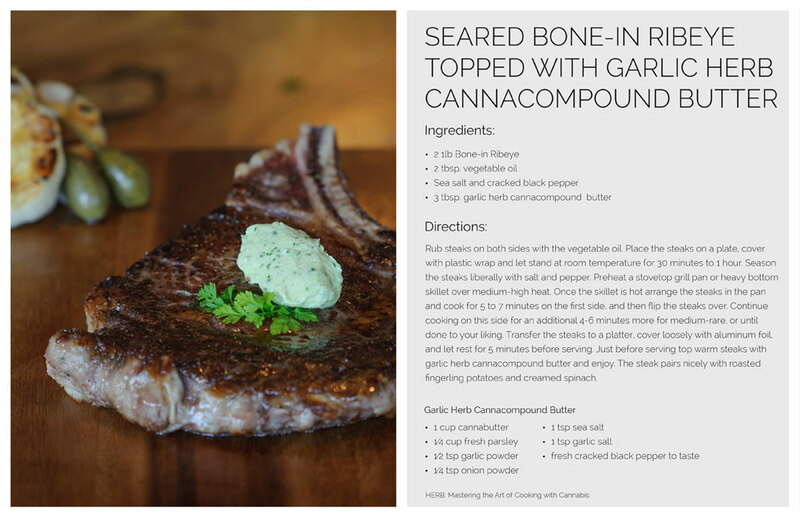 HERB: Mastering the Art of Cooking with Cannabis is not simply a how-to guide for infusing cannabis into your next meal — it is a revolutionary approach to cooking that explores the physiology of experiential food. Get your copy of HERB: Mastering the Art of Cooking with Cannabis and help support the movement! Cannabis offers countless therapeutic properties for both mental and physical ailments, but first and foremost, is a powerful herb. We feel the socio-political environment is finally right for us to put this cookbook together. We started TheStonersCookbook.com to so that cannabis enthusiasts could freely exchange their ideas. We’ve been humbled by the size, growth, and enthusiasm of the community. And we’re excited to see it continue to grow. But it’s time for us to expand beyond TheStonersCookbook.com. Prohibition is over, and given our experience over the years we feel we’re in the best position to bring delicious, cannabis-based recipes to the world. We are often asked by the community, “Where do I get the real cookbook?” or “Which recipes do you guys like?” This is our answer. 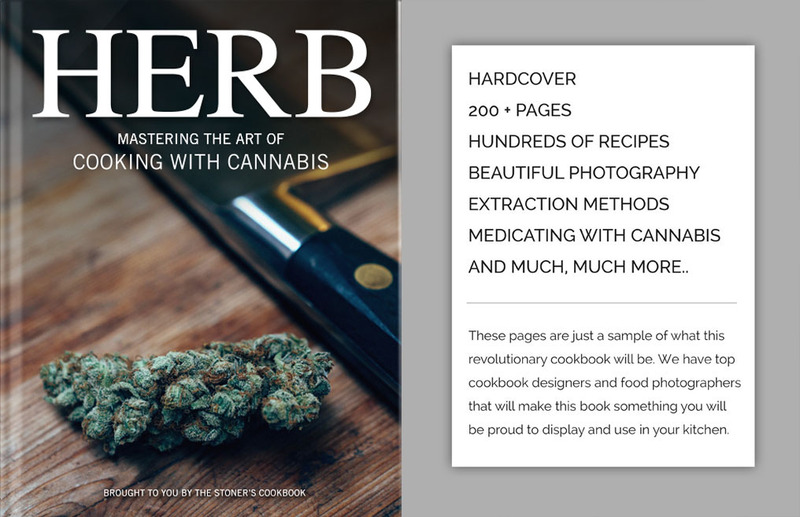 HERB: Mastering the Art of Cooking With Cannabis is a glossy 200-page collection inspired by the hundreds of thousands of recipes we’ve collected over the years. Inside you’ll find the visual presentation of high-end delicacy with the instruction and facility of everyday cooking. 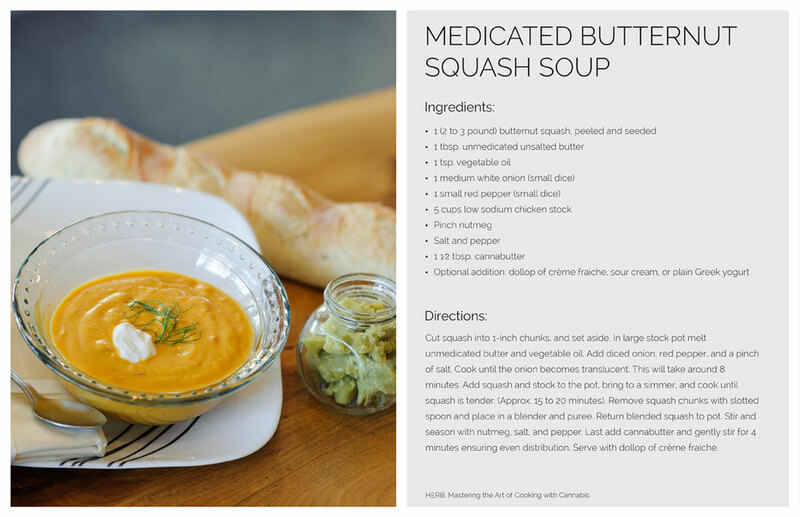 Whether you’re interested in a multiple course dinner party or a quick lunch on-the-go, HERB can get you there with detailed dosage and infusion directions to ensure a safe and enjoyable experience for everyone. Still, what if chefs could develop a culinary canon around marijuana that tamed both its taste and mood-altering effects, and diners came to appreciate dishes with marijuana the way one appreciates good bourbon? Paired with delicious recipes and the pleasures of good company, cannabis cookery might open a new dimension in dining that echoes the evolutions in the wine and cocktail cultures. Providing the expertise necessary for a product of this quality are skilled culinary artists Melissa Parks and Laurie Wolf. Allow us to introduce to you to the two chefs collaborating to bring you this revolutionary cookbook. 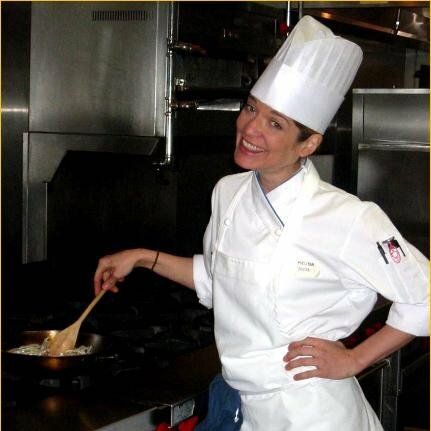 Melissa is a classically trained chef who has been cooking and baking professionally since 2000. She attended Le Cordon Bleu and Johnson and Wales and obtained degrees in culinary arts, baking and pastry, and culinary nutrition. She has worked in fine dining restaurants in Minneapolis’s theatre district, co-managed bakeries, developed products for General Mills in their New Meals/Research and development department, was a private chef for CEOs of companies in Boulder, a private chef for Grant Family Farms, created personalized wedding cakes and wedding cake displays, and now finds herself embarking on our journey of creating infused artisan edibles. 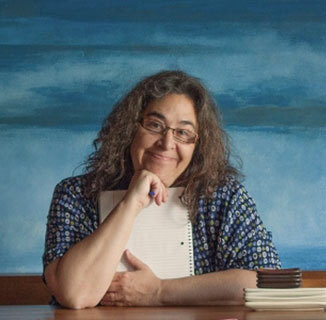 A recent contributor to The Denver Post’s new marijuana section and Cannabis Now, Laurie attended the Culinary Institute of America and worked as a chef, caterer, and food stylist in New York before moving to Portland in 2008, where she continues to work as a recipe-developer and medible specialist. Her company Laurie & MaryJane is one of the premier medible companies in Oregon. True to our core values, HERB: Mastering the Art of Cooking with Cannabis is fueled by the best community in cannabis: YOU. From conception to production, we depend on the support and engagement of our users and contributors, which is why we chose crowd-sourced funding to see this project to fruition. Books are expensive to produce, and we’d love to publish and spread the word about HERB: Mastering the Art of Cooking with Cannabis while also supporting and growing TheStonersCookbook.com, just as we have been for the past 8 years. Help us bring HERB to the world! As a thank you to all our backers, and to reward you for your patience while we work to finalize HERB, we are delighted to be able to present you with a series of videos that will give you something ‘herbal’ to do in the meantime. As backers, you’ll be seeing these videos before anyone else on your own video page on The Stoner’s Cookbook website, including ‘How to Decarboxylate Cannabis’, ‘How to Make Cannabutter’, and the delicious ‘How to Make Cannabis-Infused Brownies’ — perfect with a warm cup of medicated hot cocoa! For those of you that have already backed HERB: Mastering the Art of Cooking with Cannabis, we’d like to extend a heartfelt thank you. We couldn’t do this without you! We are ecstatic to be fully-funded, because of YOU, and are working diligently to deliver a cookbook that will inform, inspire, and delight. If you’d like to support the movement, you claim your own copy of HERB: Mastering the Art of Cooking with Cannabis today! From all of us at The Stoner’s Cookbook, Bon Apetit!